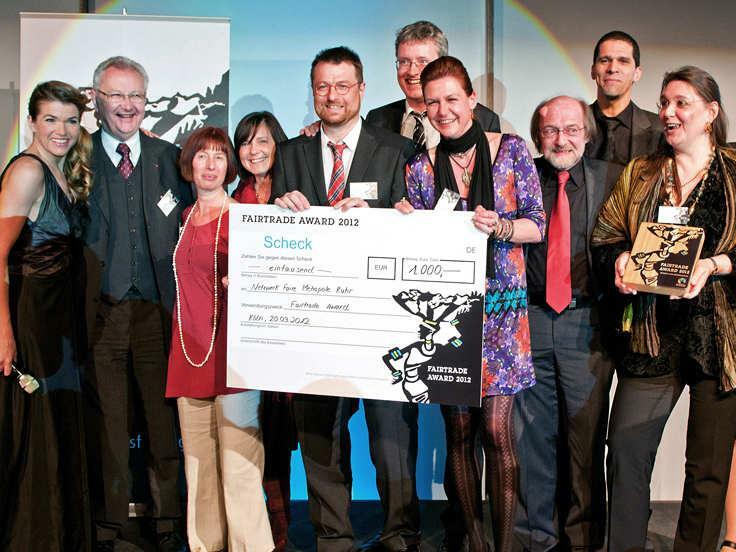 21 cities and communities, as well as the county of Wesel, with a total of over four million inhabitants, earned the award for the whole Ruhr area through their engagement as fair trade towns and counties. The award was made possible because of the long-standing preparatory work of the “Fair Metropolis Ruhr” network. The network links the activities of civil society, church institutions, and local authorities on the subject of local development cooperation and fair trade in the Ruhr area. In 2010, the Ruhr area was the European Capital of Culture and presented itself as a model region for Europe. By signing onto the MAGNA CHARTA RUHR.2010, all involved municipalities (54) and counties (4) committed themselves to abstaining from government procurement of products that are produced through exploitative child labor. The cities and communities of the Ruhr area, with more than five million inhabitants altogether, have thereby paved the way for the global responsibility of municipalities in Europe. Since then, an exhibition about exploitative child labor, designed together with Misereor, has raised awareness in many municipalities about this issue. After this success, the participating municipalities set out together to give the subject of “fairness” a new focus. 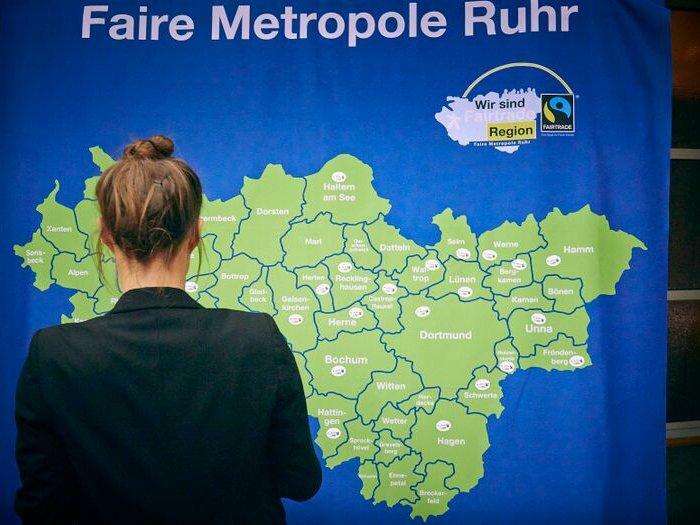 Under the title “Fair Metropolis Ruhr,” the aim is that all communities, cities, and municipalities of the Ruhr area commit to becoming Fair Trade Towns, Communities and Municipalities. The continuing developmental policy education from the One World Centers and groups, including campaigns like “Der Pott kocht fair”, which established local fair trade coffee brands in the Ruhr area, the fair trade advocate “Fair Trade & Friends", and much more, build a solid basis for this objective. 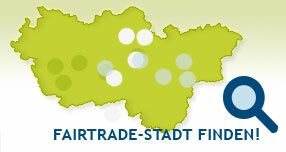 For this particular commitment, the “Fair Metropolis Ruhr” network received the Fair Trade Award 2012 from Fairtrade Germany in Berlin. Being awarded as a "Fair Trade Metropolis" was only an intermediate goal for the initiators of this project. Further plans are underway, the final objective of which is to certify each municipality of the Ruhr area as a Fair Trade Town, in order to present fair trade issues to a broader public, and to strengthen fair government procurement processes. With its project "FaireKITA in NRW" the network is making an important contribution to establishing global education and fair trade issues in early childhood education, with a specific focus on daycares, or “kindergartens.” More than 100 kindergartens are currently completing this process. The global responsibility of municipalities as well as civil society is conceptualized as the topic of the planned exhibition "Ruhr Global," which will illustrate the interdependence between the local and global level to a broader audience.